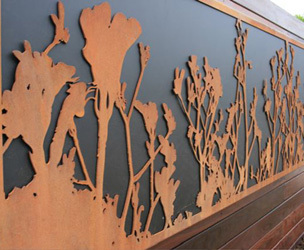 Kangaroo Paw is the latest light box design from Lump, expanding their range of botanically inspired works, and suitable for both indoor and outdoor areas. 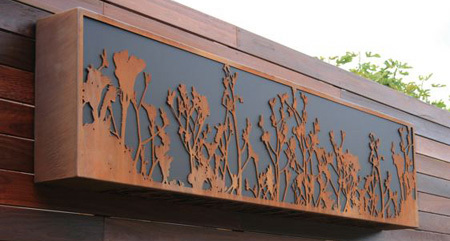 As with its predecessors, the design is laser cut from Corten steel and lit from behind for impact. The Kangaroo Paw design incorporates a new “Coke” colored perspex, which for the first time, allows for much more open space in the design. 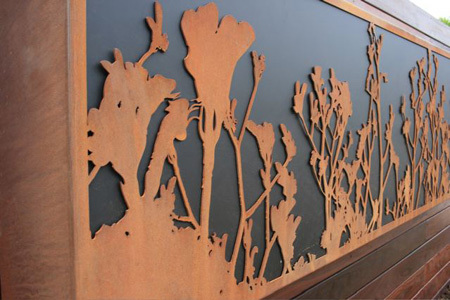 The Corten steel weathers to a rust-like finish providing a striking combination of colors and textures for the two component materials of the design. 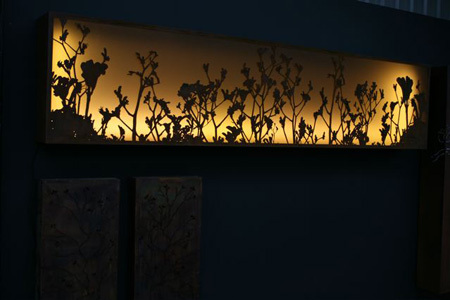 The Kangaroo Paw Light Box is available as a single horizontal panel.